Stardust is a fresh looking, bright-white, star shaped bath bomb. Back in October 2015 it was a brand new bath bomb, released as a part of Lush’s 2015 Winter range. After Christmas 2015 I felt lost, I didn’t want to say goodbye to that years Winter range. It was by far the best seasonal collection I had experienced from Lush to date. 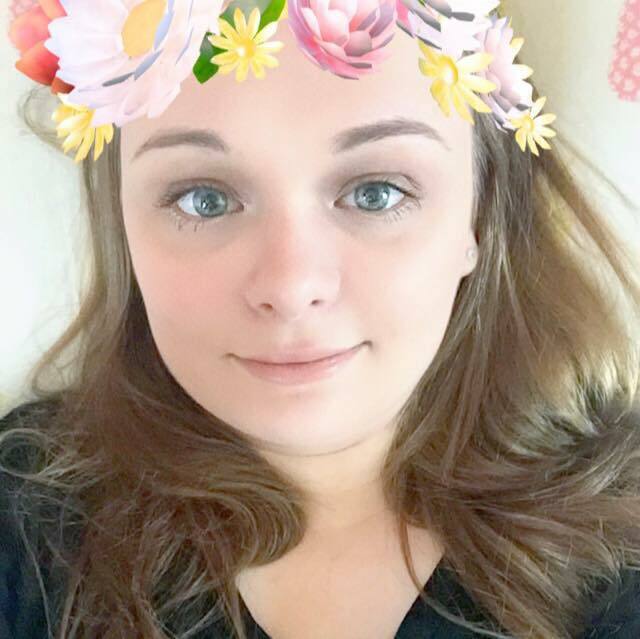 Lush however never let me down and this year (2016) the product standards impressed me just as much. I was delighted when I see that the Stardust bath bomb had made a well earned return in the 2016 Winter line. Last year, I honestly thought that Stardust was going to be a one year wonder as I had seen a lot of people describing it as ‘dull and boring’. Naturally, the bigger, more brighter products that Lush have on offer often over shadow those that are less colourful like Stardust. I of course thoroughly disagreed with the critics, the impression they had of it was completely wrong. The Stardust bath bomb is a beautiful and unique product and I am so thankful that Lush has given it another year on the shelves, it really is anything but ‘dull and boring’. Stardust was the first product from the 2015 winter range that I bought. It contains fair trade vanilla absolute, fine sea salt, snowflake lustre, edible coloured stars and rosewood and bergamot oil. Stardust’s white appearance gives it a clean, crisp look. The first thing that comes to mind when I sniff it is yummy vanilla ice cream. Stardust enthusiastically fizzes away as soon as it hits the water. The sweet, vanilla scent then begins to slowly fill the room, for such a small bath bomb it has some serious clout. The sweet scented products are normally either a huge hit or a definite miss with me. While looking at the specs of the Stardust bath bomb I was a little worried that its sweetness would make me dislike it, I shouldn’t have however worried at all. Its scent was and still is beautiful. It is quite possibly one of my favourite Lush scents and bath bombs. Although Stardust is a very quick fizzer it has an unexpected surprise, as it fizzes away it reveals frosty blue innards. 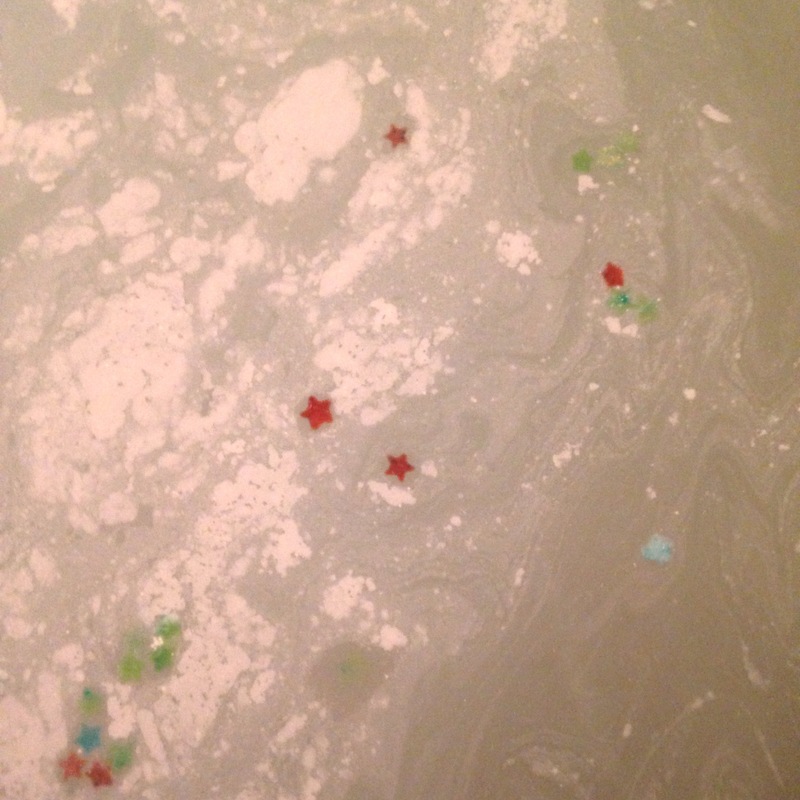 Once the Stardust bath bomb has almost gone, lots of smaller, multicoloured stars then float to the surface of the bath water. The photo above does not do the bath bomb any justice at all. It really is the perfect little bath bomb that you MUST experience for yourself. I will most certainly be buying this bath bomb again, SHOULD they decide to bring it back for Winter 2017. In my eyes it would be a Christmas-crime to not have it up for sale this time next year. Should be available up until Christmas! It’s so yummy, I wish we could eat them lol!